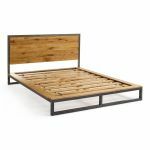 This stylish metal double bed from our Brooklyn range is designed to bring the feel of loft living to your bedroom. It features all the design details the range is known for; the dark aged effect metal frame lifts the bed, creating an open industrial look, and the solid oak headboard and bed platform help to soften the look. The slats are also made from solid hardwood, carefully kiln dried to give you a supportive sleeping surface for years to come. We've finished the oak with our signature protective wax finish, which brings a lightness to the piece and emphasises the unique grain patterns while nourishing the wood. 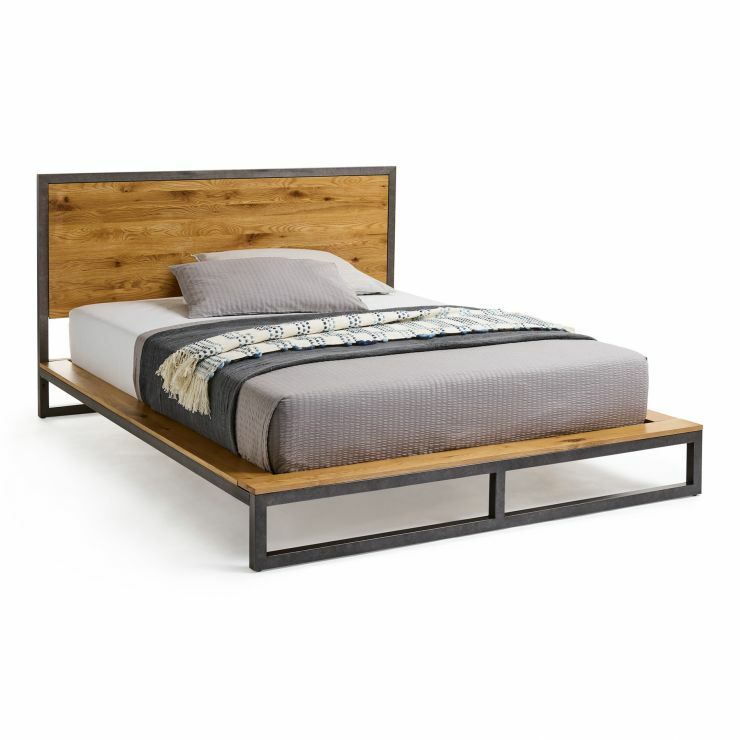 Bring home this modern metal bed today, and don't forget, we offer free delivery to your bedroom as standard!